I have a limited edition. 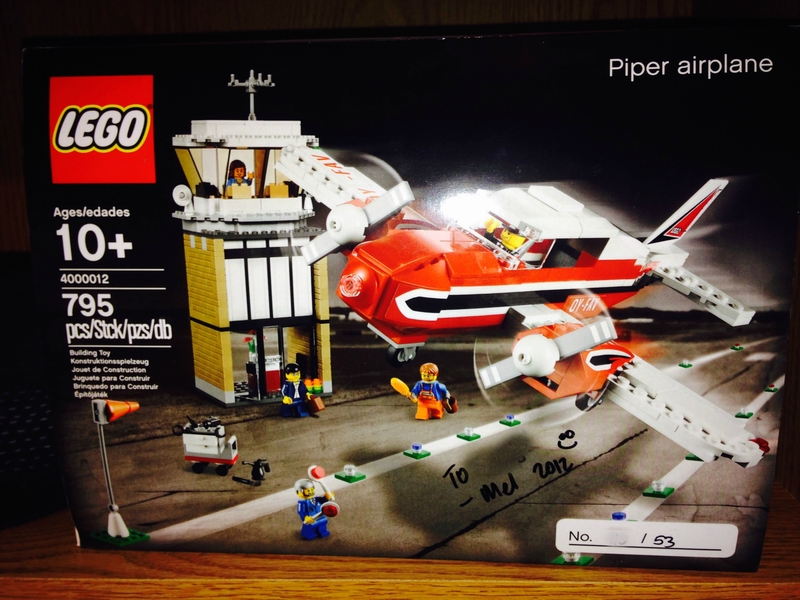 Tour model from 2012- Piper Aztec Airplane 4000012. Brand new-never been opened. Hi, are you looking to sell it, or trade for it? What kind of price are you looking for? I am potentially looking to sell it but want to see what kind of price would come from it. I know there were only 100. Can we see a picture? I'd love to at least drool a little! Actually now that I look at it there were not 100 but 53. It is signed by the designer as well. .
We don't actually know what we want and are looking for a reasonable offer. This is a rare set. In November one sold on eBay for $4,350 at auction. That's ballpark $3,800 plus or minus after fees. There is your starting price. Either go up or down as you see fit. You're in the drivers seat since it is that rare, though bear in mind it will have a limited audience at those prices. Good luck. Yeah, but 40 bids and one bidder bidding over and over. Not saying it is not valuable, but for that kind of money I would rather BL it. @madforLEGO agreed. You're paying for a box with a number on it. I certainly know that people would have varyin degrees of interest in this and was just putting it out there. I have posted larger pics above.